Abbott Northwestern Hospital, part of Allina Health in Minneapolis Minnesota, is the largest non-profit hospital in the Twin Cities. US News ranked it in the top 50 hospitals in the United States. 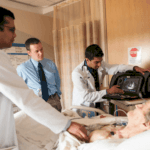 The Internal Medicine Residency Program at Abbott Northwestern is on the leading edge of making use of medical technology including new portable ultrasound machines that physicians now use to add additional information to their exam beyond that of traditional stethoscopes. 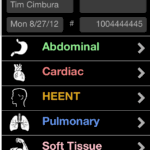 The units provide more detailed and accurate patient information that make it easier to diagnose problems. Teaching the additional skill of ultrasound to physicians takes a significant amount of time and a rigorous approach to assuring competency. Before LuminFire developed this solution, physicians learning how to use the units would carry around physical note cards and record exams by pen. The cards would get lost or damaged and consolidating the information by hand later by collecting the physical cards was problematic. 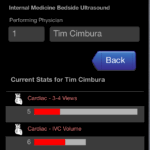 The solution came when LuminFire built a custom iPhone application for the Internal Medicine Residency Program at Abbott Northwestern Hospital called “IMBUS Internal Medicine Bedside Ultrasound) Education Tracking Tool” utilizing FileMaker Go. It has since been renamed TrackUS for distribution. 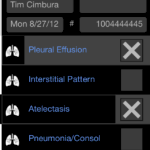 The physicians track all the ultrasound exams they perform using this new application on their iPhones. It’s a very simple process to select the exam type and check it off as complete. 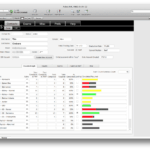 FileMaker Server tracks all the information automatically in a central location and allows multiple users to connect at the same time. 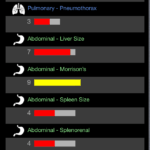 Doctors can immediately see their training progress with color-coded bars for each exam type. Red means working toward the goal, Yellow almost there, and Green means complete and certified. FileMaker client on a Mac or Windows workstation also works as a back-end administration interface to change types of exams that can be tracked, add new physicians, etc. This allows the medical education area to be more efficient, easily certify physicians that have completed training, and create customized statistical reports of the information collected for future studies. 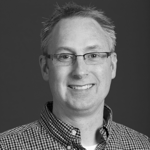 Update 5/25/13 – FileMaker posted an article detailing this success story on their website. Abbott Northwestern Hospital’s Internal Medicine Residency Program is a leader in medical technology innovation and integration into the education and practice of internal medicine residents and staff physicians. 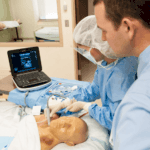 The Internal Medicine Bedside UltraSound (IMBUS) program is an extensive 3-year curriculum for faculty and residents aimed at maximizing our bedside diagnostic and problem solving ability through portable ultrasound-enhanced physical exam skills. The portable ultrasound has long been a valued tool of the emergency department physician and more recently the intensive care unit physician. 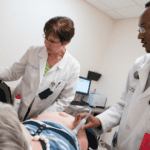 As portable ultrasound units become more and more portable without sacrificing diagnostic image quality, it becomes a practical and useful tool for the internal medicine physician, both in the hospital and clinic setting. 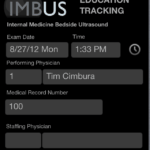 The IMBUS program at Abbott Northwestern Hospital aims at training amazing bedside diagnosticians with the best combination of traditional physical exam tools (such as our eyes, ears, hands, stethoscopes) and cutting edge tools of the future such as ultrasound. With a careful balance of these tools, the sensitivity and specificity of our physical exam improves markedly. In addition, the time to diagnosis of critical processes can be significantly shortened. The end result is maximized patient care, safety and efficiency. This program is rigorously analyzing the educational components of ultrasound assisted physical exam training such as curriculum, competency cutoffs, system outcomes, and patient care outcomes of bedside ultrasound integration into the internal medicine physical exam. Located in south Minneapolis, Abbott Northwestern Hospital is the Twin Cities’ largest not-for-profit hospital. Abbott Northwestern is known around the region and across the United States for its centers of excellence: cancer care through the Virginia Piper Cancer Institute™; cardiovascular services in partnership with the Minneapolis Heart Institute®; the Spine Institute; Neuroscience Institute; Orthopedic Institute; perinatology, obstetrics and gynecology through WomenCare® and physical rehabilitation through Sister Kenny® Rehabilitation Institute. LuminFire is the solution to many information and business management needs so organizations can be more effective, productive and profitable. Their flagship business management software fmIgnite® is a foundation platform for building customized iPad/iPhone, Mac OS, Windows and web software to meet exact business needs. 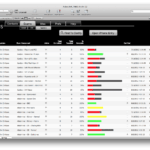 FileMaker is the leader in easy-to-use database software. Millions of people, from individuals to some of the world’s largest companies, rely on FileMaker software to manage, analyze and share essential information. 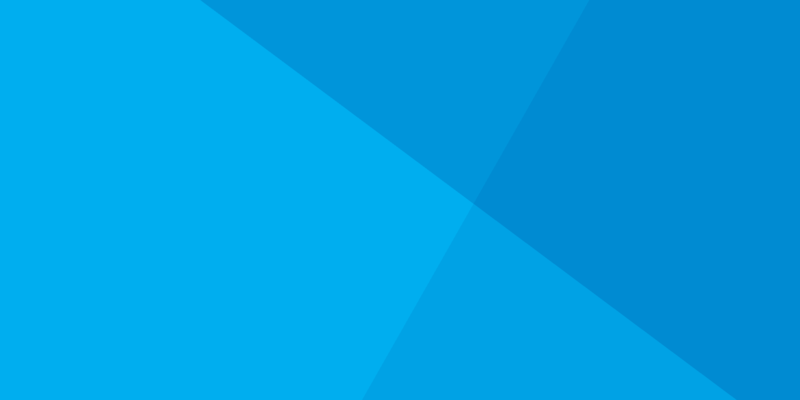 The company’s products are the FileMaker line – versatile database software for teams and organizations, for Windows, Mac, iPhone, iPad and the web – and Bento, the personal database for Mac, iPhone and iPad. FileMaker, Inc. is a subsidiary of Apple.